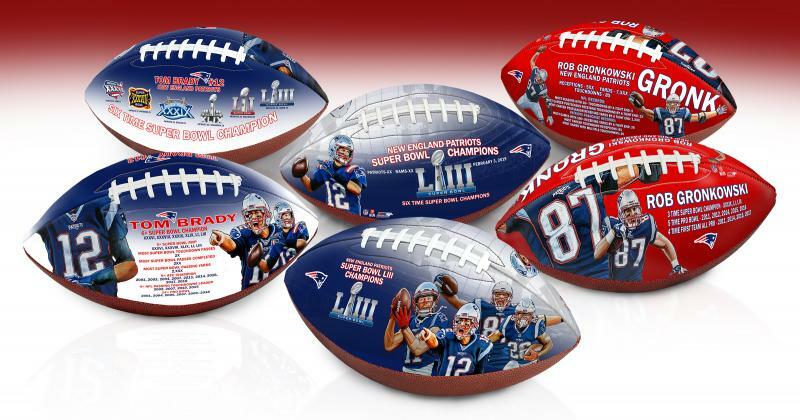 These special footballs are the ultimate package for any Patriots’ fan! 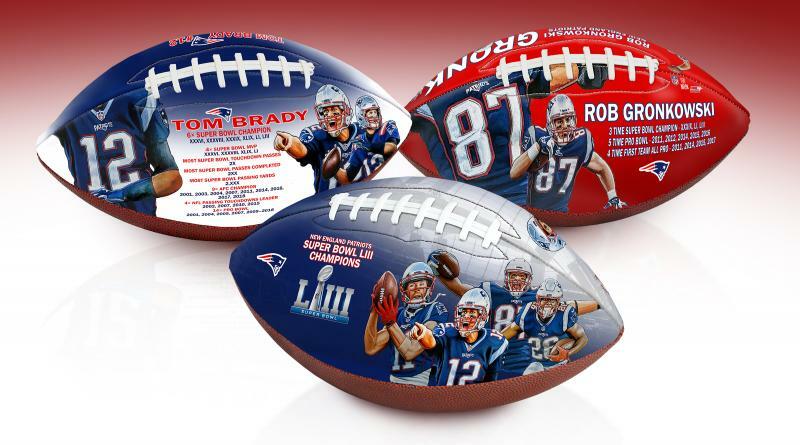 This set includes one (1) Patriots Super Bowl LIII Champions Commemorative Art Football, one (1) Tom Brady Six Time Super Bowl Champion Art Football, one (1) Rob Gronkowski Career Stat Art Football and three (3) football display cases. As a special bonus, we have priced this package to include the 3rd display case for free! This is a savings of $90. Get your special set before they sell out! The display cases and footballs will ship separately. Due to the limited nature of this offer we must charge your credit card for the full price immediately upon taking your order. This policy ensures we reserve a ball for you. We will confirm your order by email. This ball is not game used. Please allow 4 to 6 weeks for delivery.